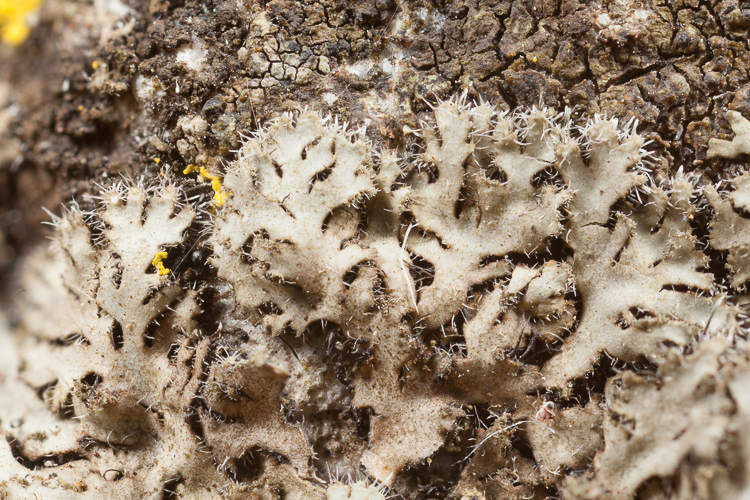 DIAGNOSTIC FEATURES: Black undersurface, cortical hairs present on lobe tips and apothecia; compare with P. hirtella which has cortical hairs but lacks soredia and with other Phaeophyscia spp. which lack cortical hairs. ECOLOGY: This member of the “P. orbicularis” complex is common on bark and rock in the eastern and central US; probably scattered across Ohio.